After osmotically invading our consciousness with his first dose, dr trippy returns with a new batch of his patented Punjabi swamp medicine that is guaranteed to get you dancing to the off-beat of the world. 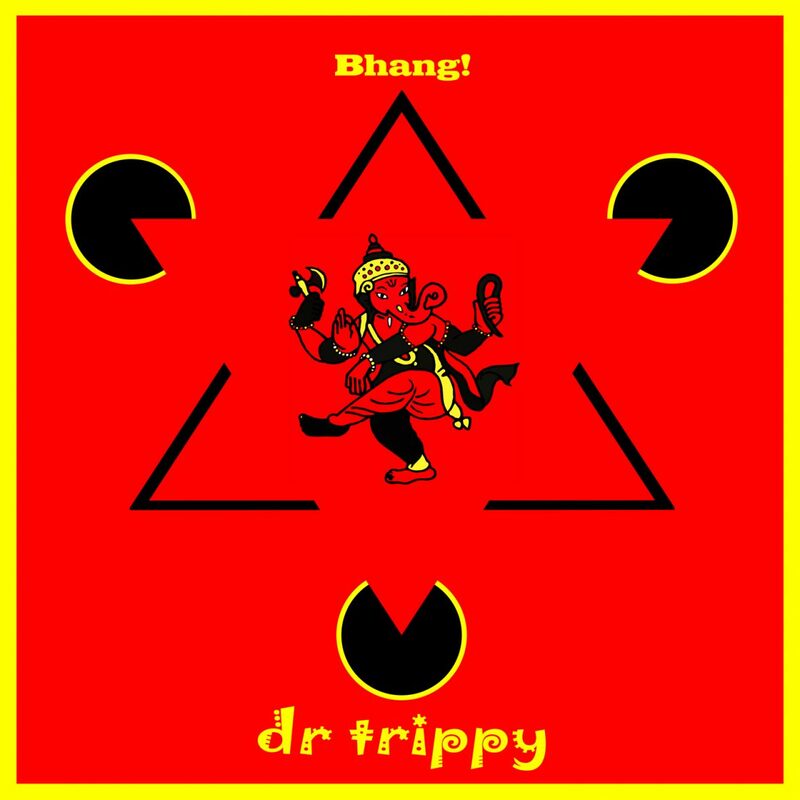 A riot of musical flavours, ‘Bhang!’ starts and finishes with trademark ‘trippy bhangra beats, and in between positively explodes with an eclectic blend of musical genres, all underpinned by the rhythms and resonance of dub, awash in Indian and Jamaican vocal samples, and fuelled by a battery of synths and effect units. Recent travels to Cambodia, Thailand and China are also evident in the global melting pot that is dr trippy’s style. Having built his own analogue synthesiser at the age of 14 and cut his live teeth with The Demented Stoats (with whom he most memorably played at Stonehenge Free Festival), the good doctor tentatively entered the machine world of digital sequencing and sampling in the early 90’s, with his musical endeavours influenced by trips to Goa and meeting Toby Marks (AKA Banco de Gaia). He released his first album ‘Invasion by Osmosis’ in 2014, and has followed that up with a trio of cunningly punned EP’s. With standout cuts including the dhol driven title track, the persistent ‘Hydrogen Atoms’ and the cheekily irrepressibly ‘Utrecht’, ‘Bhang!’ is dr trippy’s strongest dose yet.